The bad news? It's Monday again. Don't despair, there's good news to be had, too. Three excellent video game deals are available today for fans of co-op, zombies, dragons, and precious metals. 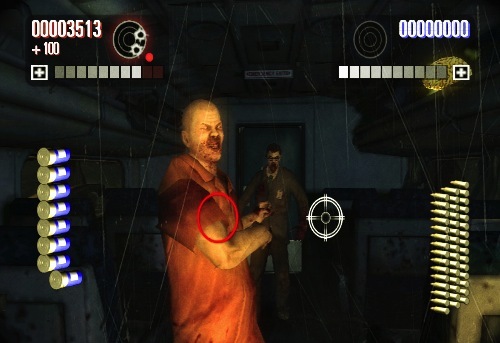 First up, House of the Dead: Overkill for the Wii is on sale for a mere $12.99. Kat thought highly of the game, and if a few hours of Zombie killin', lightgun style, is your thing, you might check it out. One of my favorite XBLA titles, Magic the Gathering: Duels of the Planeswalkers is the Gold deal of the week, and has been reduced 50% to a paltry 400 MS Points. If you've ever been curious about the mega-popular card game, it's worth a try, believe me. Not a Gold member yet? Amazon is running a sale on the 12 month Gold cards, discounted to $34.99. Hope these deals brightened your Monday a little bit! Page created in 0.6431 seconds.